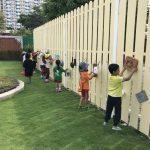 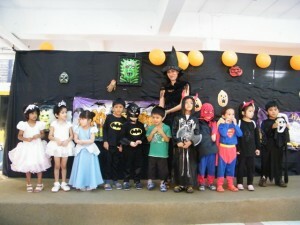 It was a fancy dress day and Wells Kindergarten children again showed their creativity by dressing up as various characters such as witches and wizards, pirates and ninjas, pumpkins and ghosts, batman and spider man. 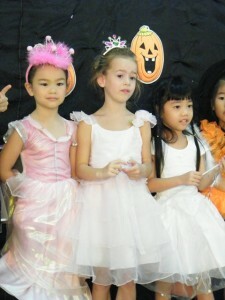 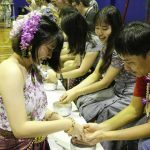 Many of the girls also came in dressed as beautiful princesses. 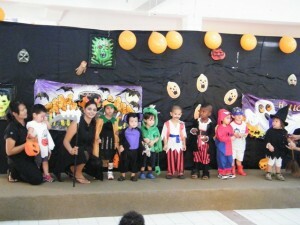 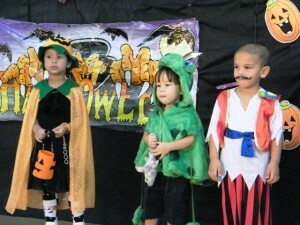 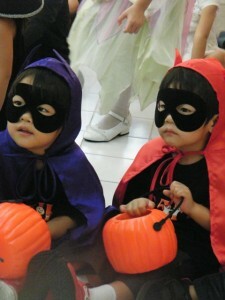 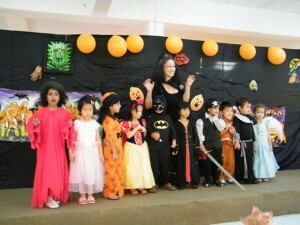 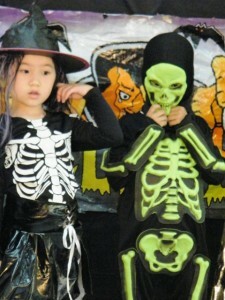 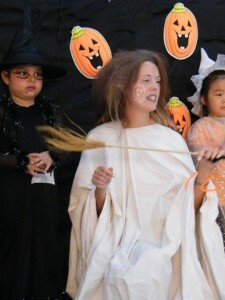 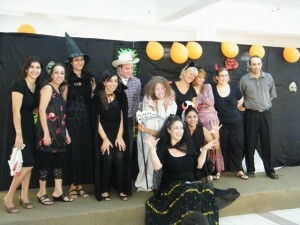 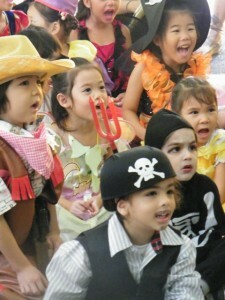 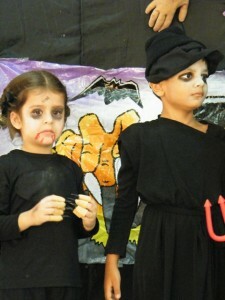 Each class paraded on the stage and some even danced to the Halloween music. 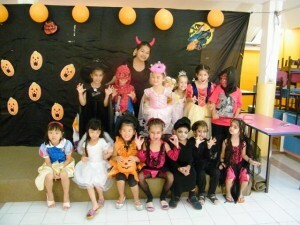 Children then enjoyed trick-o-treat and plenty of activities set up by our very talented teachers!